We can practically feel the warm summer night air and smell the delicious barbecue, at the carefree backyard wedding this bouquet belongs at. 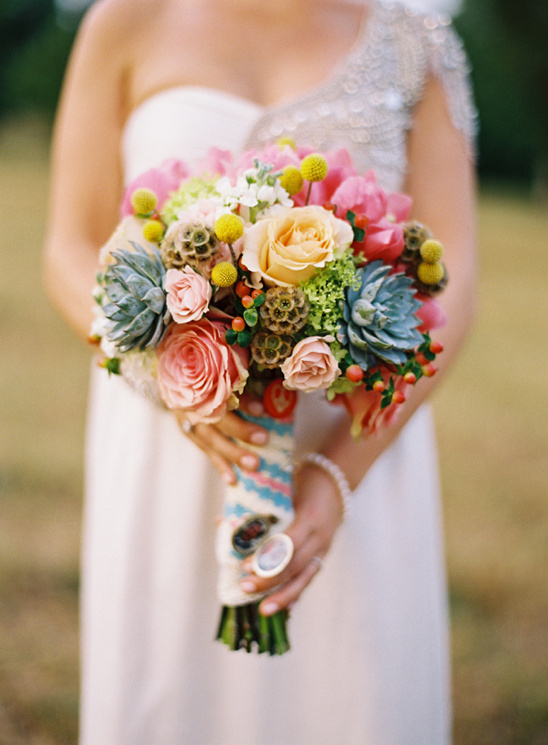 Thanks to its gorgeous combination of flowers in nearly every color you can't help but smile at this beautiful bouquet by Cedarwood Weddings and photographed by Tec Petaja. And here's a little more news to keep you smiling, we have the complete recipe for this shades of summer bouquet so you can recreate this amazing arrangement for your big day! Great news right?! 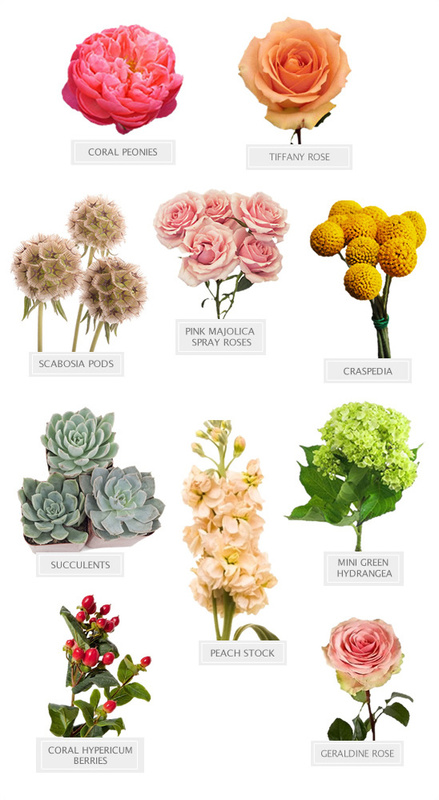 All you need to use are the following florals: Coral Charm peonies, Geraldine rose, mini green hydrangea, Pink Majolica spray rose, scabosia pods, coral hypericum berries, peach stock, craspedia, echeveria (succulents), and Tiffany rose.